Turn Any Drink Into Bubbles | OhGizmo! There are many of us whose inner child died a long time ago. Maybe it has something to do with the soul-crushing drag of having to work full time and paying bills all your life. But if you’re one of the lucky few who’s managed to salvage even a tiny shred of youthfulness and wonderment, you’ll love the Bubble Lick Edible Bubbles Kit. 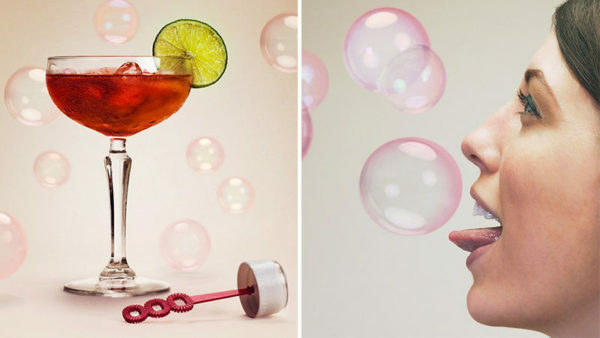 It lets you turn almost any drink into bubbles you can then chase around the house and catch with your mouth. We suggest getting a few bottles, mixing some tequila in, and watching grown men run around your backyard drunkenly chasing bubbles. Good times. It’s £12.99, or roughly $17 USD.